Federal Reserve Vice Chairman Stanley Fischer left open the option of an interest rate increase next month. Other officials are divided on whether to wait. Federal Reserve Vice Chairman Stanley Fischer left open the option of an interest-rate increase next month, walking a line between officials who want to delay due to market turmoil and those who say the economy is strong enough to handle a move. Fischer said reports on the U.S. economy’s tempo have “been impressive, and the economy is returning to normal,” in an interview with CNBC from the Kansas City Fed’s annual retreat in Jackson Hole, Wyoming. “I think it’s early to tell, the change in the circumstances which began with the Chinese devaluation is relatively new and we’re still watching how it unfolds,” he said. “I wouldn’t want to go ahead and decide right now what the case is, more compelling, less compelling,” for a September liftoff. Fischer’s remarks place himself between two camps on the Federal Open Market Committee. Officials such as Fed presidents James Bullard of St. Louis and Loretta Mester of Cleveland say the economy’s cumulative gains have been strong and they expect them to continue, and put varying weight on recent market movements. “My view so far in looking at all of the factors is that the economy can sustain an increase in interest rates,” Mester said in an interview Friday with Bloomberg Television at Jackson Hole. Another camp is signaling there is little reason to rush and appears to prefer to hold off and determine if there is fallout from market volatility, a slowing Chinese economy and the devaluation of the yuan on Aug. 11. Fed officials next meet Sept. 16-17. “We’ve got a little over two weeks before we have to make a decision, and we’ve got time to wait and see the incoming data,” Fischer said. Equities around the world have been whipsawed this week, indicating markets remain subject to sudden shifts in investor sentiment. The Standard & Poor’s 500 Index fell 0.2 percent as of 1:25 p.m. in New York Friday after the U.S. stock benchmark’s biggest two-day gain since the beginning of the bull market in 2009. The yield on 10-year Treasuries was 2.18 percent, little changed from Thursday. “If you don’t understand the market volatility,” Fischer said, “yes, it does effect the timing of a decision you might want to make. But I think they could settle fairly quickly, there is that possibility.” Investors have increased the probability of a move at the FOMC meeting on Oct. 27-28 to 47 percent from 40 percent on Thursday. They see a 38 percent chance the Fed will move next month. “If markets behave themselves and we get a decent jobs number on Friday we are back to a very close call” on a September interest rate increase, said Michael Feroli, chief U.S. economist at JPMorgan Securities LLC in New York. Monthly job gains have averaged 211,000 so far this year, and economists expect a 220,000 gain when August data is reported on Sept. 4. Bullard raised the possibility of delaying a move until October if market turmoil persists. He added, “but the meeting is not this week, it’s Sept. 16 and 17.” Bullard said he would support scheduling a press conference following the Oct. 27-28 FOMC meeting if the committee doesn’t raise rates next month. That would make it easier for the Fed to explain a liftoff in October. Bullard and Mester next year will move into two of four rotating voting seats on the FOMC reserved for regional Fed presidents. 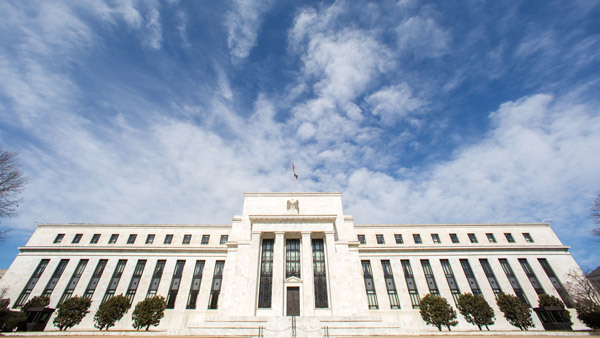 — Check out Wave Goodbye to a September Rate Hike: Fixed Income Experts on ThinkAdvisor.